Starburst Kidz is our children’s ministry at Sawyers Church. make friends and have fun together. We provide a children’s club on alternate FRIDAYS at Sawyers Hall Lane during term time. It’s a fun evening of games, arts and crafts, team activities and teaching about Jesus. 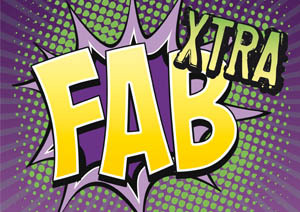 FAB XTRA is a club on alternate MONDAYS at Sawyers Hall Lane during term time. Its for children aged 10 and 11 years old in year 6. This is a place to make friends from different schools, build self-esteem, learn new skills and try something new. Sunday mornings are a great time for children of all ages to meet God, grow in their understanding of what it means to be a Christian and make new friends. We all worship together at the start of the service and then the children leave for their different groups. XTRA are Family Events that are organised to encourage families to get together and enjoy getting to know each other. None at the mo – check back soon!